People ask us all the time……. * Yes, you can get a boat early in the morning from The Firefly to go to the airport for the departing 7:40am flight. Leaving on the early flight out of Bocas is no problem. Boat drivers on Basti are up before the sun. Bocas Town is a short boat ride away, you will be there in minutes and the Bocas airport is very laid back. * Yes, you can come early if you arrive on the early flight or bus. Grab some breakfast in town and we will be up and at ’em around 8am. You are more than welcome to hang out on the deck while we stow your luggage and wait for your room to become available. However, please note, this may not be until around 2pm which is official check in time. If the previous guests leave on the early flight or the room is previously unoccupied, there is a chance we can get you in the room earlier. Breakfast is not included on arrival day as check in is at 2pm. *The boat trip from Bocas to Basti is $3 per person, each way. ($5 after dark) They do not expect a tip as all money goes to that driver. Have exact change ready as the drivers rarely have change. If you leave from a dock other than the official dock to Basitmentos, the drivers will charge you more! Make sure you are at the dock located next to Bocas Marine Tours and across the street from Munchies Burger. *NO, you do NOT need any sort of shot, vaccination or pills to come to Bocas. In fact, most people who have taken malaria pills experience awful side effects. When in doubt, check with your local physician. There have been no cases of ZIKA in Bocas. *Sorry, we cannot meet you at the airport as we are required on site. Click on our “Get Here” “Detailed Directions ” tab and you shouldn’t have a problem. When getting off the boat in Basti, if a local man offers to help you with your luggage and show you the way, let him. His name is Rene and he works with us. *YES! We have wifi for guest use however us being in a slightly remote part of the island, sometimes it works & sometimes it does not (especially during bad weather). If you are looking for a fast connection that is always available, or need to be online everyday, perhaps Basti is not the island for you. *Yes, there are restaurants near us when our restaurant is closed. Basti has great restaurants! A few local places serving up yummy seafood, fried chicken, rice, beans and patacones for cheap. There’s also our favorites, Chavela (dinner only) and The Sea Monkey. You can always hop in a water taxi to Bocas Town which is filled with restaurants. Recommendations are included in your in-room guest book. *YES, we have 24 hour electricity but we strive to be as eco friendly as possible therefore the amount of outlets in the rooms is limited. So leave the hair dryer at home (you won’t want it here anyway). Keep in mind, the power to the island comes from an underwater line from Isla Colon and we experience power outages at times. Usually it only lasts for up to an hour or so but very occasionally it can last a bit longer. In this case, we have solar lights for guest use in the rooms. We do have a backup generator should the outage last longer than a few hours. The electrical outlets are the same as in the States 120v. *Yes, you can swim, snorkel and SUP in front of The Firefly when the sea is calm. There is a very small beach to our left with rocky water access and a small, sandy wading area. Water shoes are suggested for the rocks and to avoid stepping on prickly sea urchins. The waves during surf season December to April are typically too big to swim but during the drier season, the water is very flat (June/July excluded) and swimming/entry is much easier. *Yes, we have industrial fans in all the rooms. Due to the position of The Firefly, we receive a nice breeze off the water. Because of this, mosquitoes tend to be more scare here than other parts of the island, however they still exist. We sell locally made infused coconut & citronella oil in our bar, which helps keep them away if you’re a bug magnet (it’s also great for your skin, hair and of course, to cook with) In keeping with our eco friendly mentality, we do not have AC as the breeze and our in-room fans are enough to keep the rooms cool at night. 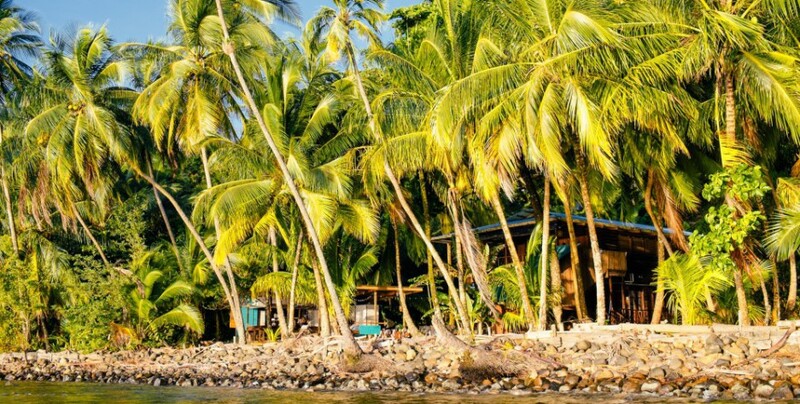 *Most places to stay in Bocas are not located directly on a beach. Here, tourists take water taxi boats to all of the beaches. The closest beach by water taxi is about 5 minutes away on Carenero Island. Also, 8 minutes away is the popular Red Frog Beach. You can also do a 35 min hike to the gorgeous & secluded Wizard Beach. The price to Red Frog beach by boat is $10 per person roundtrip. Bluff Beach is a 25-30 min taxi ride outside of Bocas Town. *Yes, you can get a boat back from Bocas at night. In high season, boats are in Bocas to take tourists back to Basti all hours. The price does go up to $5 a person after dark. In low season, getting a boat can be scarce after about 11pm back to Basti. * Yes, we can arrange excursions for you! We work with the local boat taxi drivers here on the island preferring to contribute to their families instead of the large tour companies. Our drivers can take you to all of the most beautiful spots around the islands. Whether you want to surf, snorkel, dive, beach hop or just get out on the water, we can help plan the perfect day trip. Most trips can be arranged the day before or day of. Nothing here requires advance preparations except perhaps diving. Prices vary depending on the specific trip, high or low season and how many people will be going out. Bring small bills as boat drivers rarely have change. A tip is also a nice thing to do if your boat driver helped contribute to your awesome day! Popular tours are snorkeling, the bat caves, beach hopping, & the Up in the Hill organic farm tour. (See Activities Page) PLEASE do not book any tours at the airport as there are a few individuals who prey on tourists and apply pressure to book. They will overcharge you! Tour suggestions are included in your in room guest book. *We welcome adults only. Our rooms sleep two people only in queen beds and we do not have cots to bring into the rooms. The Firefly caters to couples and rooms are not equipped to sleep children. We DO NOT accept pets. *Yes, you can have the whole place to yourselves! Our entire place can be rented out for your gathering, group trip or wedding. Upstairs (where we live and we use it as a separate rental) sleeps 5 adults, has 3 bedrooms & 1 bath with your own kitchen and large private deck area in addition to our three guest rooms on the bottom floor and our 2 bungalows. If you require more space, we can get in touch with the owners of the 2 vacation houses next door. Our deck is a great place to get hitched! Have your wedding here at The Firefly. *BRING: a flashlight or headlamp, a light rain jacket, a re-fillable container for water, sneakers for hiking, water shoes (good for the rocky beaches and the Bat Caves) & beach towels (we do not provide them). Bug spray and sunscreen are available on the island, but we recommend Reef safe sunscreens. Help save the Reefs! DON’T BRING: anything that will end up as trash on the island. Be a responsible traveler and understand that what you bring becomes someone’s responsibility to dispose of and that can be hard on an island. Don’t bring heavy luggage. We are located off a rocky path and heavy roller bags will have a hard time. *Bring cash! The official currency of Panama is the US Dollar. 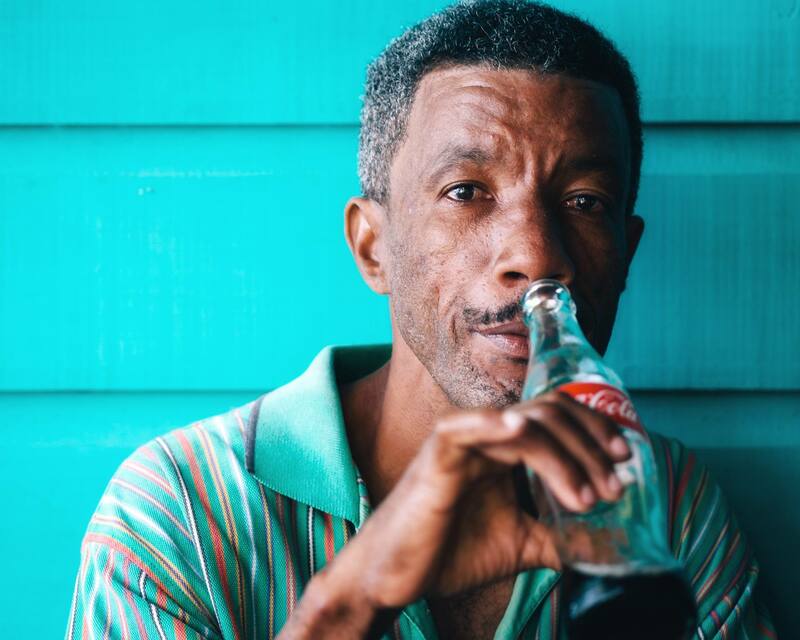 There is only one ATM in Bocas on the main island near the airport and during busy times, it often runs out of cash (especially during the holidays). Our bar/restaurant is cash only and very few places in Bocas accept credit cards. You will also need cash for boats taxis and tours. (See Activities page for general tour prices) Please be prepared with cash as we cannot accept paypal for your room tabs or your room balance once you are here. *the weather.….Guests often inquire about the weather and all we can say is you never know. We do know that it tends to rain, A LOT in late June and all of July and December/early Jan. The reality is it’s the tropics and can be muddy & miserable without much sun those months. But then again……. Dry months: Feb/March/April & August/Sept/Oct tend to be the driest months. Wet months: November/December/Jan and beginning of Feb see high surf swell ( great for those that surf!) which means passing storms. June/July also see good surfing conditions and can be very wet. All in all, we are on an island where it can be raining and then sunny within minutes. You just never know. Dreaming of your own place in paradise? 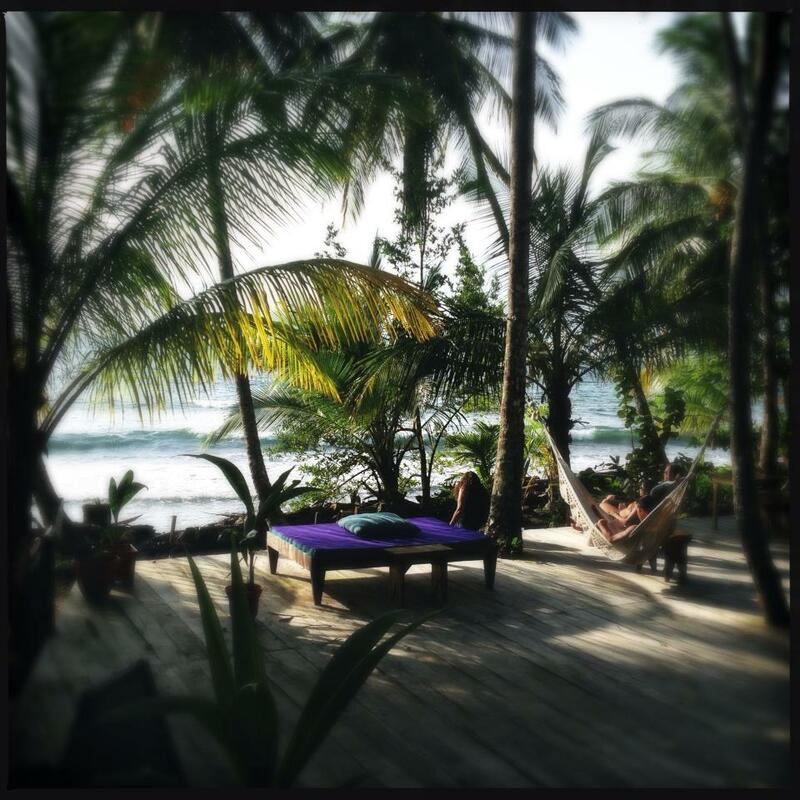 For the best realtors in Bocas, get in touch with Mark & Jacy at Paradise Found Realty. Not only do they have the best knowledge of the islands but their personal touch will make the entire process easier. Help with contractors, builders, lawyers and even pet relocation, they will make sure the transition is smooth. http://www.bocasparadisefound.com Tell them we sent ya!